The Israeli Explosives Safety Center (IESC), member of the Tamar Group, offers turn-key qualification solutions involving explosive materials. Tests are conducted at Tamar Group’s facility in accordance with international safety regulations. IESC solutions include a complete test protocol design, logistics involving relevant equipment and explosives, accredited personnel specializing in handling ammunition and explosive materials as well as a final report providing a complete analysis of the test results. 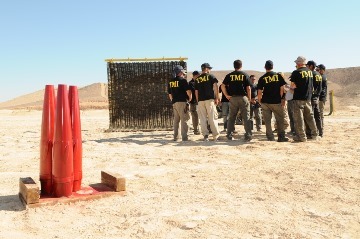 IESC recently designed and conducted a series of qualification tests of Blast Shield Walls (BSW) manufactured by T.M. International (http://www.tmi2001.com). 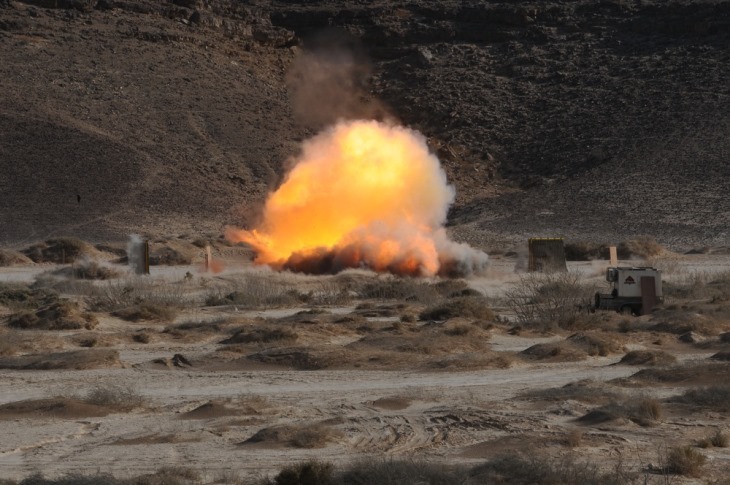 The objective of the tests was to measure the effectiveness of BSWs when used against artillery shells, mortar bombs, bare explosives and car bombs. These tests successfully showed that BSWs can reduce the impact of various explosive device types by mitigating the blast wave and stopping direct high energy fragments. 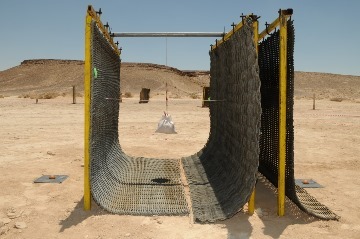 In addition, BSW can be used as a Sub Dividing Wall (SDW) in order to prevent sympathetic detonation between stacks of explosives and as a barricade to reduce hazard fragments distance for exposed sites in case of an explosives event. A full parametric analysis can be obtained through T.M. International. IESC is ISO 17025 certified and acts as the Israeli National Laboratory for Explosives Safety for military and regulatory entities. For further information regarding IESC offering, please contact us at Arik@iesc.co.il. Please contact Tamar Group directly or through authorized partners, distributors or agents only.